Our research produces knowledge for action that is applied in creating positive sustainable change – that is, good for business, families, society, and individual well-being – in public and private sector organizations. 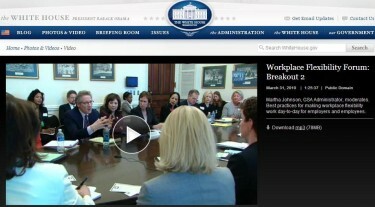 We broadcast on SiriusXM Channel 111. The Total Leadership program is based on evidence from our large-scale research on students and alumni, described in Work and Family – Allies of Enemies? (Oxford University Press, 2000); on the findings of best practices by experts convened at W/LIP conferences; and on the materials gathered for our collection of learning activities, Integrating Work and Life – The Wharton Resource Guide (Jossey-Bass/Pfeiffer, 1998). The essential elements are described in the book, Total Leadership: Be a Better Leader, Have a Richer Life (Harvard Business, 2008). The purpose of Total Leadership is to improve performance in all parts of life – work, home, community, and self (mind, body, and spirit) by finding mutual value among them. This is accomplished by individuals learning how to create positive change that is sustainable because it serves the interests of all relevant stakeholders. 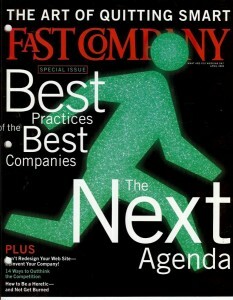 Total Leadership was created at the Ford Motor Company in 2000, emphasizing the growth of the leader as a whole person in each and all phases of this innovative program, which received extensive media coverage (e.g., see this cover story from Fast Company). Target Corporation has used the Total Leadership approach to helping high-potential managers better align their everyday actions with their personal leadership visions as part of the company’s efforts to generate greater employee well-being. A unit of the US Army is using Total Leadership to train hundreds of its staff to examine what and who matters most in their lives and then design and implement experiments for producing demonstrably improved performance in all domains of life. 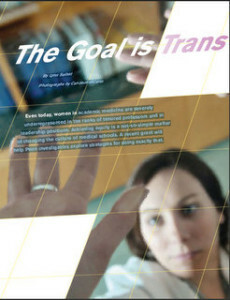 The Total Leadership approach to integrating and improving performance in all parts of life played a central role in an NIH-funded multi-year grant on how to change the culture of academic medicine through creative ways of enhancing the lives and careers of junior women faculty at Penn Medicine (this cover story describes the grant’s activities. Since the ‘90s Friedman has served as an advisor to a wide variety of executives and organizations, including former GE CEO Jack Welch, who acknowledged his contributions to his thinking in his 2005 book, Winning.